The EURUSD had a moderate bullish momentum last week topped at 1.3650. The bias is bullish in nearest term testing 1.3675 – 1.3700. A clear break above that area could trigger further bullish presssure testing 1.3800 or higher. Immediate support is seen around 1.3580. A clear break below that area could lead price to neutral zone in nearest term testing 1.3500 key support. The GBPUSD was indecisive last week but overall still able to maintain its bullish bias. The bias remains bullish in nearest term testing 1.7100. Immediate support is seen around 1.7000. A clear break below that area could lead price to neutral zone in nearest term testing 1.6940 but overall I still prefer a bullish scenario at this phase. The USDJPY had a bearish momentum last week and hit 101.27 earlier today. The bias is bearish in nearest term testing 100.80 key support area. Immediate resistance is seen around 101.50. A clear break above that area could lead price to neutral zone in nearest term testing 101.80 – 102.00. My overall technical outlook remains neutral but a clear break below 100.80 would activate my bearish mode. The USDCHF had a bearish momentum last week and now testing 0.8905 key suport area. The bias is bearish in nearest term. A clear break below 0.8905 could trigger further bearish pressure testing 0.8855 – 0.8800. Immediate resistance is seen around 0.8920. A clear break above that area could lead price to neutral zone in nearest term testing 0.8950 or higher. In the previous EUR/USD forecast we noted that the currency pair attempted to recover from it bearish dip. It was within the bottom and middle bollinger bands and both would serve as support and resistance respectively for the new week. Looking at the EUR/USD weekly chart above we note that the currency pair was again bullish for the week. It is now approaching the middle bollinger band and this may be an area of test for the upcoming week. 1.3680 is also a common resistance region and hence we need to consider it in our trading plans. 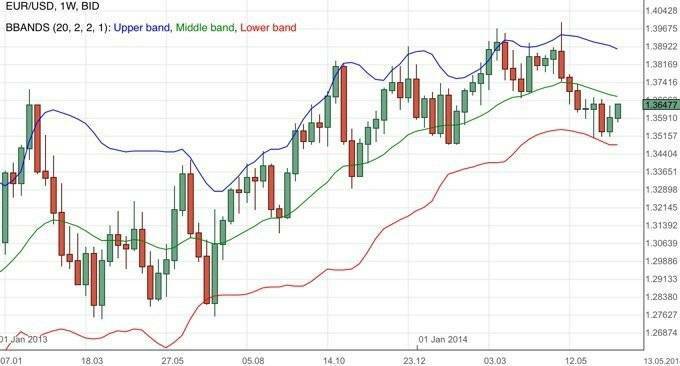 The bottom bollinger band remains as our target for any bearish dip. Don’t miss the fundamental analysis continue on to TheGeekKnows.com for the fundamental analysis of the EUR/USD Forecast Weekly Review to understand more about the underlying market sentiments. In the previous AUD/USD forecast we noted that the currency pair was trading in a narrow range. The currency pair remained suppressed by the 0.94 resistance and again this would be a crucial point to observe. Any bullish pressure would definitely need to conquer this region of resistance first. Looking at the AUD/USD weekly chart above we note that the currency pair was bullish for the week. It is now currently above 0.94 which is an indication of possible further bullish advances. The trading range has not changed much and still remains narrow. Do continue to monitor the 0.94 region as it remains a crucial support and resistance region. 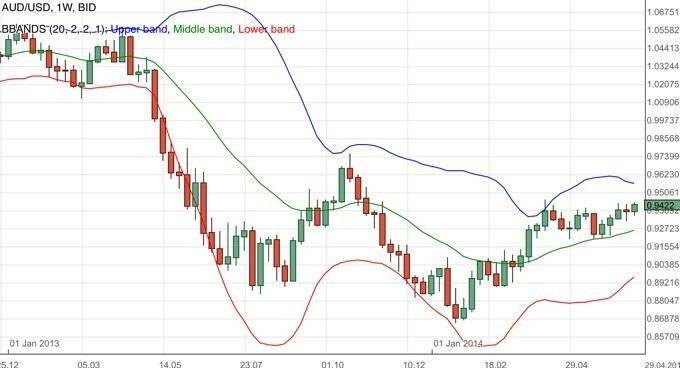 The top and middle bollinger bands are likely area of reactions. Don’t miss the fundamental analysis continue on to TheGeekKnows.com for the fundamental analysis of the AUD/USD Forecast Weekly Review to understand more about the underlying market sentiments. The EURUSD attempted to push lower yesterday but found a good support around 1.3580. The bias remains neutral in nearest term. Price is still moving sideways without clear direction. As long as stays below 1.3675 – 1.3700 I still prefer a bearish scenario at this phase. Immediate support remains around 1.3580 but key support remains around 1.3500. The GBPUSD had a bullish momentum yesterday topped at 1.7039. The bias is bullish in nearest term testing 1.7100. Immediate support is seen around 1.7000. A clear break back below that area could lead price to neutral zone in nearest term testing 1.6940 but overall I still prefer a bullish scenario at this phase.